Don't forget that behind every amazing photographer is not only an awesome backdrop but a trusty backdrop stand at his side! 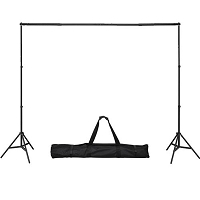 The easiest way to hang a backdrop is with a backdrop stand and clamps. 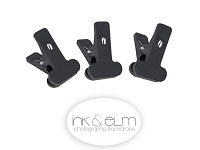 Simply use the clamps to clamp your backdrop to the stand, and voila-- you're ready to shoot!